Do you use online reviews to help you decide which products or slices to buy? Find out you can’t trust them – and how to work out which ones ARE real. Every decent marketer today is well aware of the power of social proof – reviews, testimonials and ratings from customers. Where possible, companies try to keep control of social proof, writing case studies, encouraging positive social media comments and sharing glowing testimonials. But there’s one place that a company’s reputation remains out of their control to a large degree: on third party websites. These can be online marketplaces where you sell your products, like Amazon and eBay. Or they can be websites specifically set up to list businesses, and allow customers (and indeed, anyone) to rate them. Websites like TripAdvisor and Yelp. And as many business knows, these websites are often a law unto themselves. Anyone can write a review for a business, whether they’ve ever actually bought from or used their services or not. Or whether they’re just a person with a grudge, or even a devious competitor. The review sites themselves, as we’ll discover can even influence your reviews by choosing which ones to show, and possibly use them as blackmail to ‘encourage’ businesses to pay for advertising with them. Sometimes, its even possible for companies to buy or create false review I an attempt to boost their reputation. Indeed, a recent Which report found that Amazon was flooded with fake five star reviews, making it difficult for shoppers to really assess whether a product was worth buying. We found this ourselves this week when looking for phone charger cables. Most cheap cables had between 60-80% five star reviews. But one company had 100% five star reviews. At first this seemed the obvious choice, but after reading the fake reviews new story, we checked and none of the reviews for the five star cable were from verified purchases – unlike the more realistic reviews for other cables. Be wary of products with hundreds of five star reviews. Read the reviews – do they sound genuine, or do they say the same things? Check the dates – they should be spread over a considerable amount of time. Fake positive reviews are frustrating because they trick you into buying substandard products or services. But fake negative reviews can be just as dangerous – for the consumer who misses out on potentially their ideal product or service, and for the business themselves. Research in 2016 found that 82% of adult Americans ‘sometimes or always read online reviews for new purchases’. And, according to the New York Times, we’re also more likely to pay attention to a negative review (despite their questionable credibility) than a positive one – making them more powerful. Studies show that we use negative reviews to understand our risks and potential losses. We see them as examples of what could go wrong, and depend on them more as we view them as more ‘trustworthy’. But what if these reviews are malicious? Rather than protecting yourself from risk by avoiding an untrustworthy company or product, you may be increasing your risk by missing out on the perfect purchase. The untrustworthiness of reviews was really brought home to us recently following an experience with Yelp. And made us realise that it’s not just untruthful reviewers you need to be wary of – but some review sites themselves. A troubled year 11 boy was recently expelled from my son’s senior school. In revenge, he wrote a malicious, inaccurate review about the school on Yelp. But, as there was no listing for the senior school he wrote it under the primary school’s listing – a school he didn’t even attend. The anonymous review is clearly defamatory, claiming that exam results are ‘manipulated’, and calling easily identifiable teachers ‘a cruel bully’ and ‘not even fit to teach anymore’, and ‘a completely imcompatant [sic] person’. This review has been reported to Yelp. But despite this, remains ‘recommended’ on the site. However, two reviews written by named parents who currently have children at the school are now suddenly ‘not currently recommended’. One of these reviews had been on Yelp for over two years before being inexplicably demoted. When we queried with Yelp why they had taken this action, they claimed they rely solely on their (clearly flawed) recommendation software to manage their reviews. And even after we’d pointed out the facts (including that the reviews were for a different school), they refused to remove the malicious, defamatory reviews. Yelp actually changed the listing to accommodate a malicious review! Instead, Yelp decided to change the entire listing from primary school to secondary school, despite that fact that the majority of reviews were for the primary school. The only ‘reviews’ of the senior school were the fake defamatory reviews. 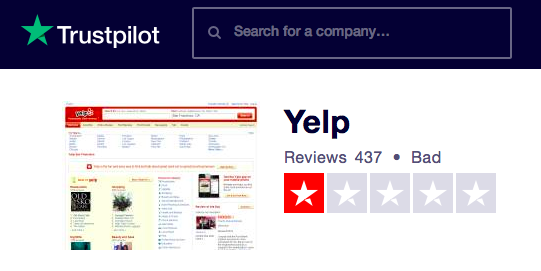 This makes us question Yelp’s motivation. They made absolutely no effort to establish whether the defamatory reviews were accurate or not, and instead changed the entire business listing to accommodate them! Why would they do this if they wanted to run an ethical, honest review website? In our opinion, this makes Yelp redundant as a review site, which is its sole purpose. And we would not recommend trusting any of its reviews based on this experience. And Yelp’s policy of punishing businesses who ask customers to write (honest) reviews apparently merely perpetuates an existing problem on the site. But the complaints about Yelp are more serious than simply allowing anonymous, unverified reviews. In 2015, the Federal Trade Commission (FTC) concluded an investigation into Yelp. According to the Wall Street Journal, the FTC had received over 2,000 consumer complaints against Yelp between 2008 and 2014. Small business owners complained that it takes Yelp too long to take down fake reviews, and that the company purposely placed negative ads in top positions for companies that didn’t pay for advertising, as ‘a sort of extortion’. 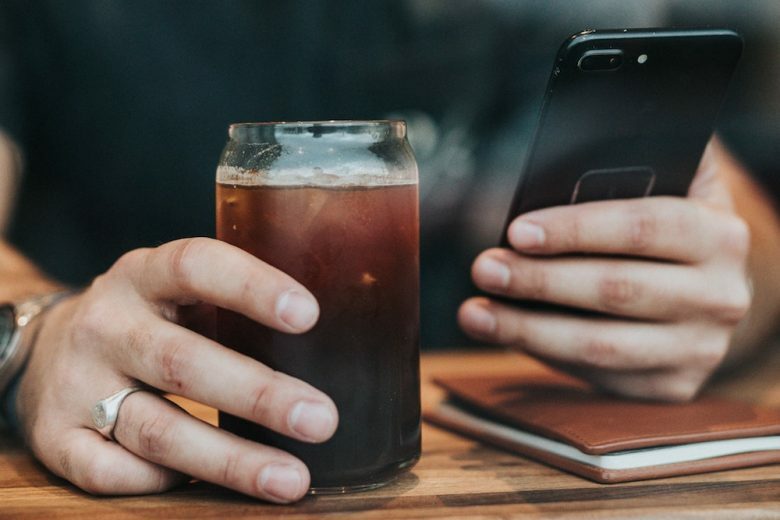 While the FTC eventually dropped its enquiry, it was reported that “Yelp can legally withhold positive reviews”, in effect skewing the results of companies’ listings. Read the details in the written reviews, and our experience in their handling of our school’s fake review is very far from unique, with companies complaining the company deletes positive reviews, or simply marks them as not recommended. While there are some glowing reviews of Yelp, the vast majority repeat similar sentiments to those above, accusing Yelp of aggressive sales tactics. And if businesses don’t buy advertising then their reviews are skewed to punish them. Yelp isn’t the only online review site that has come under scrutiny for deceptive practices. “I’d assumed… If someone had a bad experience, it would be reflected on their profile on the website. When the journalist made a complaint to Checkatrade for a tradesperson that had failed to complete a job, they received no support or satisfaction, and subsequently discovered that they had apparently rated the tradesperson as ten out of ten, “even though he hadn’t done anything except cause stress and anxiety”. When they questioned this with Checkatrade they were told that “all scores on the online form were set at a default of ten if, like me, you didn’t fill it in”. So there you have it. A tradesperson can get a score of ten out of ten on Checkatrade even if they didn’t finish the job and are absolutely not recommended by the customer. When the journalist investigated further, they discovered that “The majority of people on Checkatrade, it seemed, scored between nine and ten out of ten. It was extremely hard to find anyone who rated less than an 8.5”. When they dug deeper, they learned that tradespeople “pay more than £800 to feature on the website.” They also discovered that “Checkatrade makes it very difficult to post negative comments. In fact, the complaints procedure appears weighted in favour of the trades”. So it seems customers not only need to be wary of fake reviews placed by disgruntled customers or devious competitors, but it appears they even need to be wary of the bias of some review sites themselves. So how can you find a review you CAN trust? If you want to get genuine, honest feedback on a product, service or company, Lauren Dragan, who analyses consumer feedback at Wirecutter recommends looking for the middle ground in reviews. She personally reads the three star reviews as she believes that they’re often more moderate, detailed and honest, and less swayed by emotion (positive or negative). Also look for reviews from people who seem like you, and who care about the same things that you do. For example, if a review focuses only on the size of a parking space and you don’t drive, then the review isn’t relevant to you. Likewise, if a classical music lover criticises a rock album for being too loud, that may actually indicate that it’s a good buy for a rock music fan! And finally, look beyond the star rating and focus on the details in the written review. Look for specific facts and detailed experiences, rather than sweeping emotions. Taking precautions like this can help you falling victim to inaccurately positive or negative reviews, or even manipulation by review websites themselves.